It is no news that bow-hunting can be a very pleasurable hobby which is why there are numerous people who enjoy it and seek for ways to improve their experience. 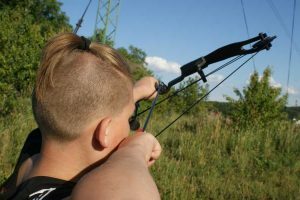 Additionally, there are many hunters who want to share their bow hunting experience with their children, and many youngsters who want to learn how to bow hunt. However, not every archery equipment is suited for these types of hunters and it is the reason why the Cruzer bow from Bear Archery comes as a refreshing and effective solution to this problem. We are talking about a bow that is adjustable and can be used by almost anyone with any skill level. In addition to this, it is extremely durable and once you get used to using it, you are likely to never want to change it again. Also, it is very lightweight, making it very easy to carry around even for longer bow-hunting adventures. Any younger person who hunts with this bow will be comfortable with it and will make a lot of shots that are smooth and accurate at the same time. It is extremely silent and it enhances your bow-hunting experience even from the moment of opening the package because you are ready to go! Your hunting adventures will be better and the results will be higher because no prey will run away from the noise of your bow. The Bear Archery Cruzer Bow is definitely a top notch bow and it can be used by almost anyone. It is tremendously light and you can make an archer out of your child without facing any equipment issues. Additionally, what is best about its features is the durability – there is no doubt that it is made to last. This means that when you buy this bow package, you will use it for quite a long time without a need to adjust or fix it. It is also an excellent choice for those who are new in the field of hunting because when you have it, you are ready to go. It comes completely assembled and you can go hunting right after taking it out of the box. Regarding the hunting experience, it must be said that it has limbs that are quad styled and the release will be smooth and without any vibrations. This means that you can stay rest assured that your shooting will be as precise as possible and you can rely on the excellent performance of this bow. When having this bow, you have 75% let off, making it much easier to draw and maintain your aim for a longer period of time. Because it generates a fair amount of kinetic energy, your chances of achieving accuracy and humane killing shots are very high. 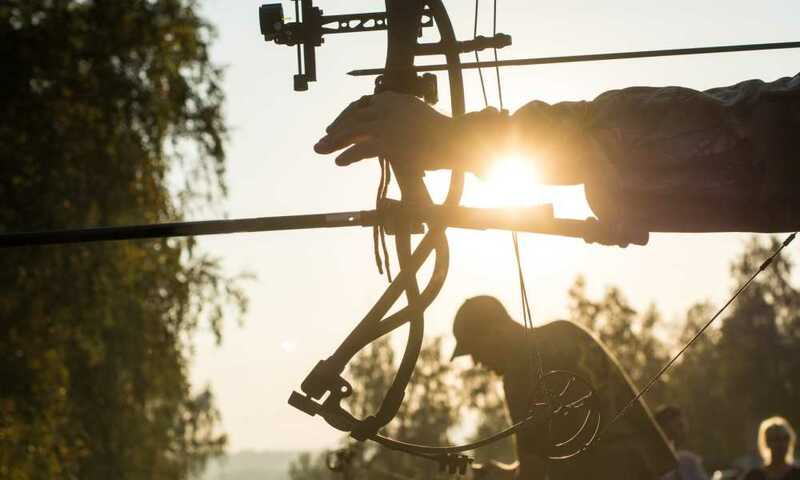 It is not as powerful as the other Bear products, but if you prefer a smaller bow, it is an excellent choice – your arrow will fly smoothly and it will hit the target you aimed for. Moreover, because it has limbs with a preloading feature and the vibrations are lowered, you can rely on its accuracy. Additionally, it has a string suppressor and a stabilizer that make it impossible for your prey to hear you. With this bow, you can come much closer to your prey and be sure that other sounds and noises that can be made from other compound bows are impossible in your case. If you are looking for a bow that is going to be compact and easy to carry – the Bear Archery Cruzer is the right choice for you! It is smaller in size which is excellent for archers who are shorter and it can be used in tight blinds. It weighs around 3.6 pounds and it is basically light as a kid’s toy. Feel free to ask your younger child to join you on your hunting adventure! As a benefit for new archers, this bow comes with a 6.5 brace, which makes practicing your aiming skills even better and easier. However, this doesn’t mean that only younger and shorter archers can use it – it is adjustable and archers of any size or skill level can use it efficiently without any problems. It provides you with a fair speed and it is very likely to fulfill your bow-hunting needs. It has a smooth and consistent performance with an easy draw cycle. Take it with you on your next hunting trip and see for yourself how the Bear Archery Cruzer can ease and improve the hunting experience of any archer – younger or older!